With one giant exhale, our Topsail Island beach vacation had begun. 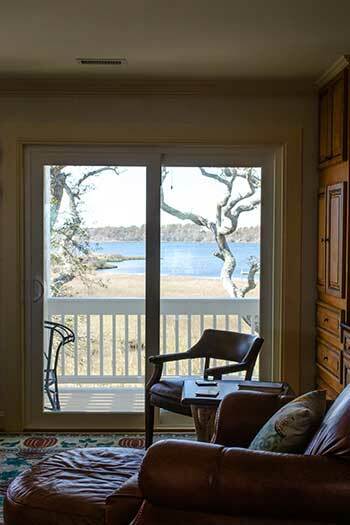 We looked out over the calm, flowing water of Stump Sound from our balcony and just knew that we were finally going to get some rest. Having stayed in a variety of places throughout North Carolina, we’ve learned that each one possesses its own function. As for this one, which was aptly named “Sound n’ Sea,” the goal was relaxation and oh, would we be getting exactly that during our time there. So here’s to our Topsail Island getaway, and when you come here with friends and family, we hope your time there is as memorable as ours. We loved Sound n’ Sea so much, that we also included among our favorite hotels in North Carolina! Every time we’ve stayed at a Yonder Vacation Rentals property, we’ve been able to relax. Yonder provides luxury accommodations all across North Carolina, with most of their properties in the Western part of the state. However, this Topsail location is one of their flagship spots. Thanks to amazing properties and even better service (seriously, Mark and his team are the best if you ever need anything! ), Yonder works hard to ensure incredible stays with them. 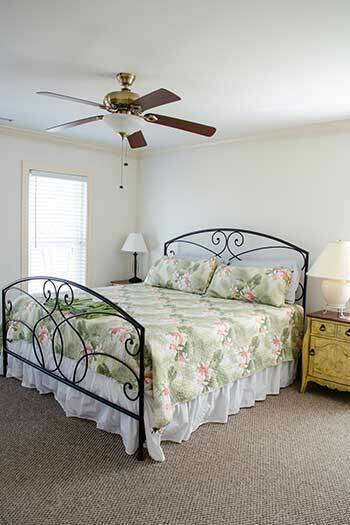 Bonus Perk: And unlike some Topsail Beach rentals, Yonder provides all the linens for the beds, making it super convenient for checking in and out! Seriously, the size of it makes this the perfect place for families to gather for a memorable vacation or even a company retreat. And that’s not even counting Sound n’ Sea’s private boat dock. 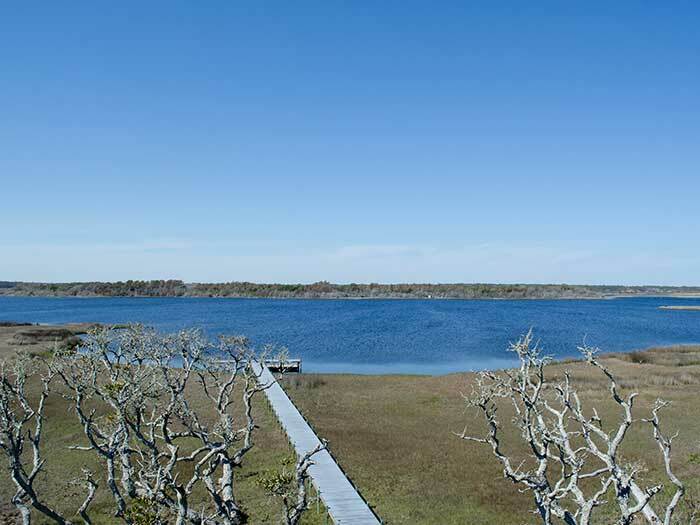 Also, this property is only five miles away from Surf City, which is where most people go if you absolutely must leave. For the most part, we stuck around, only leaving to grab some local seafood to bring back and cook. Otherwise, we spent our time sitting on the deck staring out at the sound. We could hear the ocean waves behind us, and that tempted us to venture across the street and check out the beach. This is what you’ll see when you first walk inside. The first floor of the house is where most of the action can happen. It includes a luxurious sitting and dining area, complete with a solid wood table and leather couches. It’s perfect for cozying up with a cup of tea, a puzzle, or great conversation! The fully stocked kitchen came packed with absolutely everything you could need. There was even a blender, coffee maker, and multiple wine openers. The latter was a welcome sight, since we keep one in our bags after discovering some rentals not having one. Plus, there was a pot large that helped us cook up some Frogmore Stew! The view from inside the first floor. Next to the kitchen and dining room on the first floor is the master bedroom, which is where we stayed. While it was right next to two busy spots, including the living room, it was also quiet enough that our little one slept fine as we chatted away during the evenings. It was extra convenient for us because we could leave the door cracked and still sit out on the porch without worrying about not hearing her if she woke up. The second floor common area is nice, too! Ok, we lied about staying on the first floor, because we goldilocks’d it up and ventured up to the middle floor for a night. 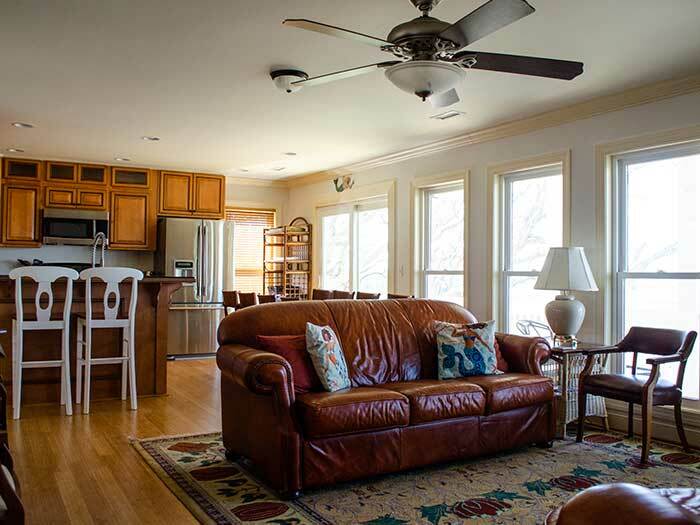 This floor contained a living space, a private porch, and three bedrooms. It was while staying here when we envisioned a group of close friends, all with children and teenagers, to spend a week at Sound n’ Sea. The second floor would be the perfect place for all of the friends to stay together. Why? Because all of the bedrooms on the second floor are Full/Queen/or King. I could have this view all day long. Couldn’t you? At the top of the house, the third floor is ideal for children or guests who don’t mind sharing a room. With two bedrooms and seven twin beds, I can only imagine all the whispers and secrets those rooms hold. Above all, the view from this top deck is also incredibly stunning. We ventured up for sunset each night and we still can’t figure out which one was the best. Stump Sound being right outside means there are plenty of opportunities for kayaking, paddle boarding or swimming when staying at Sound n’ Sea. Didn’t bring your kayak? No worries, because the Yonder Team has a great list of recommended places (inside their “Welcome” packet) that will even deliver the boat to you! 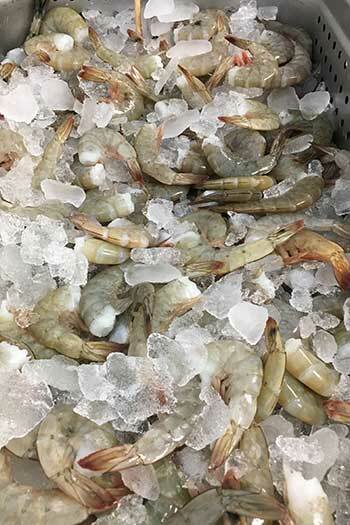 JM’s Place has amazing seafood, like this shrimp that we took home for our Frogmore Stew (Low Country Boil)! Only $1 admission to the fishing pier if you want to watch people bring in a big catch! As we mentioned earlier, Surf City is only five miles away from Sound n’ Sea. 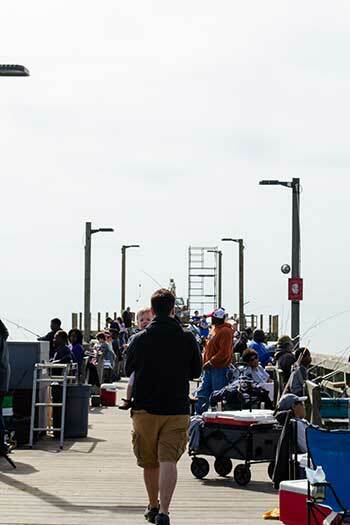 Stroll up and down the Surf City Fishing Pier and watch as fishermen and -women cast their reels. Or, you can watch the baby turtles hatch at the Karen Beasley Sea Turtle Rescue and Rehabilitation Center. There are plenty of seafood markets and nearby grocery stores and even a delicious local bakery! Cook up a family favorite to share around the dining room table or head into Surf City for a delicious meal. Either way, you’re covered at this central yet serene location. Just a block away from the beach ain’t too bad, either. 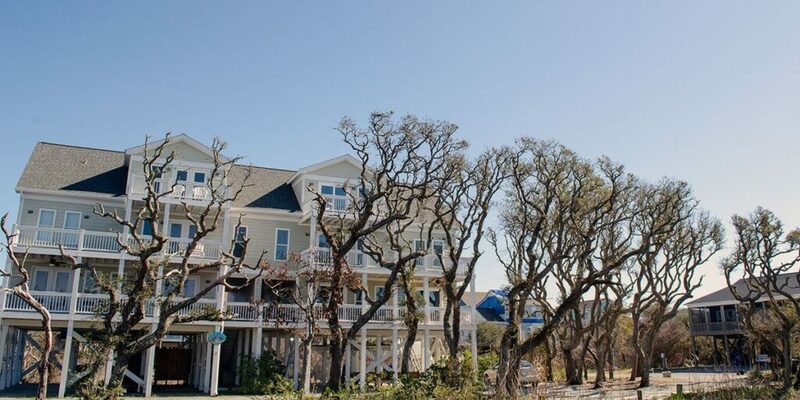 We stayed at this property during Topsail Island’s shoulder season in March. 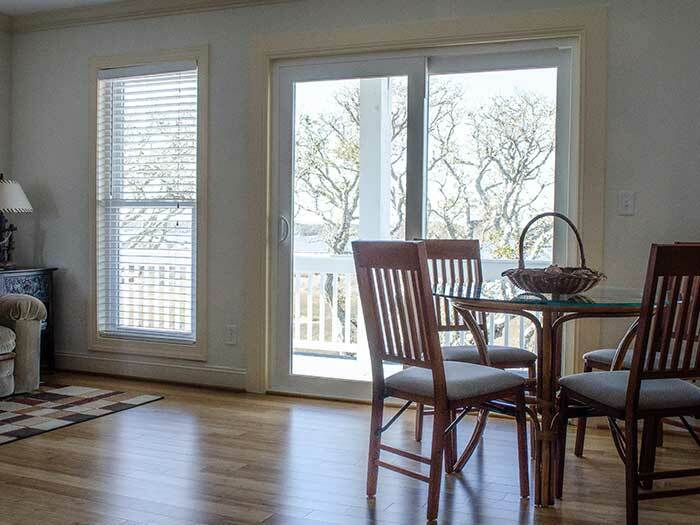 With the beach within a short walk and the private dock, we think you can relax regardless of what the temperature is outside! And if you want our honest opinion, here it is. Even after the extensive damage inflicted by Hurricane Florence in 2018. We noticed things getting back to normal and imagine this place will keep moving through the busy season. So, with the notable exception of possible storms in the late summer/fall (which you can prepare for with trip insurance), we don’t think there is a bad time to check in to Sound n’ Sea. 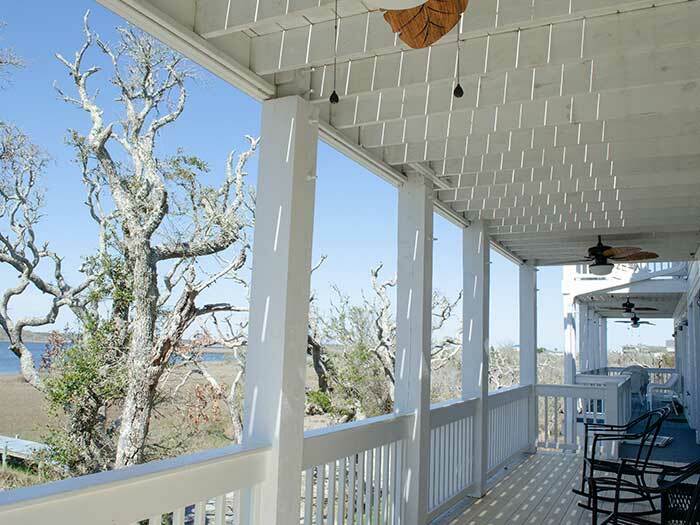 Have you stayed anywhere like Sound n’ Sea at Topsail or anywhere else along the Coast? Ever stayed at one of Yonder’s properties? Either way, we’d love to know your thoughts in the comments section! 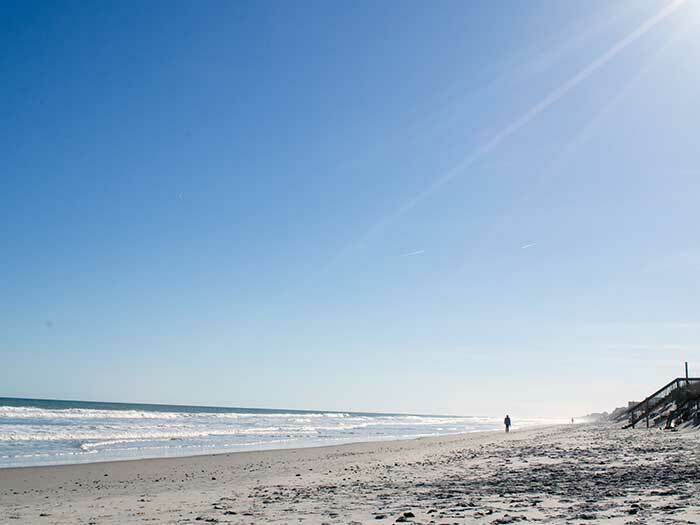 This guide to Sound n’ Sea on Topsail Island is part of our series on North Carolina Hotels, where we’ve covered favorites like The Durham Hotel, the historic Green Park Inn in Blowing Rock, and more. Special thanks to Yonder Vacation Rentals for providing us with complimentary accommodations. All opinions within this article are our own. This entry was posted in Travel and tagged Pender County, Surf City, The Coast, Topsail.